An Italian-American woman residing in central New Jersey, Suzann Brucato has created a photo journal as a tribute to motherhood, family, and heritage. Work Smarter Now has published this full-length collection of poems where Mrs. Brucato conveys the importance of family traditions as a contribution to ensuing generations. This collection of poems and photographs provides a depiction of the journey of a woman in the eyes of a child, spouse, parent, and grandparent. "For Suzann, family is a quilt tied together by foods and celebrations that live and grow from year to year," says Rosalie Bennett, a New Jersey artist. 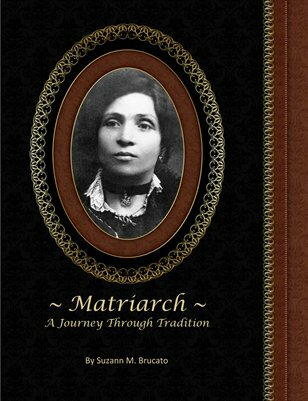 Visit www.MatriarchJourney.com for Reading & Signing event information.